Operations once again commenced in a bright sonorous swirl on Sunday afternoon at Pickman Hall, as Collage New Music’s 46th opener brought forth five absorbing works, including two world premieres, bearing witness to the ongoing vitality of this beloved group that so ably promotes and defends new music. A generous number of friends and supporters were on hand to cheer everyone on. A smaller number came to the pre-concert talk; the beautiful weather doubtless kept some outdoors who might otherwise have heard how the director, David Hoose, expertly elicited confessions and trade secrets from all five composers present. The Intelligencer prepared readers for this event with an interview HERE. Aaron Helgeson, who recently joined the Longy faculty, was represented by three of the five songs in his 2013 cycle Poems of Sheer Nothingness. On medieval texts in the Occitan language, which resembles Old Provençal, these short texts are poems about writing poems, with the promise of “the more you listen, the better it will be.” Mary Mackenzie, a strong high soprano well-known in Collage concerts, had no trouble mastering the difficult high notes and shrieks that came in punctuations, along with unusual instrumental techniques in the accompaniment of flute, clarinet, violin, and cello, plus piano. “Farai un vers de dreyt nien” (I’ll make a poem of sheer nothingness), the first line of the first song, signaled the nervousness of the beginning of the cycle’s journey that would follow: short syllables, pregnant pauses, bursts of sound and voice followed by short silences, when the next lines, beginning “Non er de mi ni d’autre gen, / non er d’amor…” (Not of me nor of any other, / not of love…) were repeated several times. The vocal syllables were underlined in bursts with high-position violin squeaks, flute breaths and whistle tones, and the cello playing directly on the bridge (with a different bow). At the end, the solo violin squeaked like birdcalls, remarkably effectively. The alternations of short explosions of sound and careful silences, continued into the rapidly moving second song (no. 4 of the set), offset by rippling piano and flute-clarinet trills, but from what had been atonal or even unpitched in the first song now emerged discrete harmonies, almost triadic (B major? ), even though the clarinet and flute bent their pitches. Helgeson described the song as “light and humorous,” like a scherzo before the last song (no. 5), which was much slower, ruminative and expressive, with the syllables spaced far apart in time. The accompaniment alternated string harmonics in sustained double-stops, bell-like piano chords sparely textured, and a remarkable dialogue with clarinet (multiphonics, on one chord) and expressive flute flourishes. The flute techniques here were remarkable for their sound: mixed harmonics and shifting embouchure that faded the timbre in and out in a ghostly way. 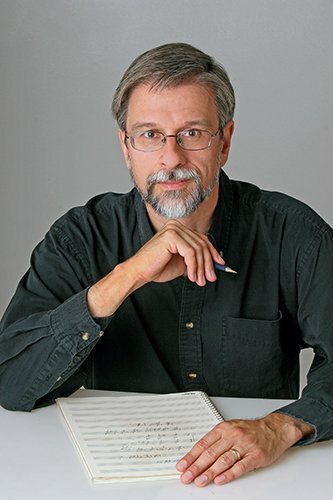 The composer, himself a flutist, told me that he built some of these passages on third-partial harmonics; probably hard to notate and harder still to play, but the sonic results truly impressed — hats off to veteran Christopher Krueger, who focused everything in these moments. Yi Yiing Chen, a Taiwan native teaching at NEC and MIT, a Collage Fellow during the past year, contributed the premiere of The Starry Night, inspired by Van Gogh’s famous swirly painting and written for the full ensemble. In the beginning, some brief melodic motives materialized, with the piano organizing more extended melodic material, sometimes with collateral thirds and sixths; in the second movement especially, a walking piano bass responded to the dialogue; in the loudest textures one could discern rhapsodic diatonicism in the clarinet. Nicholas Tolle expertly juggled back and forth his crotales, sometimes striking them with a small mallet, other times stroking with a bow, or even two bows. Like Van Gogh’s, this post-Impressionism, was sweet and gritty at the same time. Fantasy Etudes by Fred Lerdahl followed; composed in 1985 for a consortium commission and performed several times already by Collage, this now-venerable masterwork still sounds hale and fresh. The études number twelve, like 19th-century piano etudes, but succeed one another without pause in instrumentally distinct segments, no. 1 beginning with clarinet, flute, piano, and percussion, all more or less tossing around C, then (no. 2) adding violin and cello. Other subgroups follow, often made distinctive with figurations and patterns, until no. 11 has all players going furiously together, with the final étude summarizing earlier melodic and figurational content with a climactic fff , cymbals and temple blocks and high piano. It conveyed an energetic and agreeable way to hear 15 minutes of fine, often fantastic color. Marti Epstein composed Oil and Sugar in response to a video recording of disintegrating sugar cubes. This six-minute piece is in slow 3/4 with a bare pulse, quietly impressionistic in several multi-rhythmic layers for piano, flute, violin, and cello; it was especially appealing to hear the subtle changes of harmony as the oscillating texture slowly drifted upward — one wouldn’t call the melodic elements ostinati, because they became irregularized in an appealing way. The quiet piece represented, perhaps, a special kind of differential minimalism. It included a brief codetta, with string tremolos and a very high piano. Before the music started, Epstein rhetorically asked, in reference to the harmony: “What are the other components that make the piece sound gravitational?” Dynamics constituted one such gravitation, multiple rhythms another. 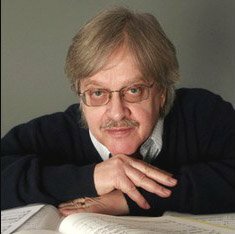 A Fromm Foundation commission on behalf of Collage resulted in A Sibyl by James Primosch, who acquired six poems from his friend Susan Stewart (she was also present) for the cycle, whose premiere concluded the program. Collage and Mary Mackenzie gave the new work their total confidence and power. The Cumaean questions raised in the first song (“If you ask a leaf”) are gradually answered in the nature poems in nos. 2-5, and more definitively in the final song (“If you ask again”). Throughout, episodes of chromatic density frequently are leavened by perceptible paratonal harmonies — seventh chords and ninths that are strong but not usually tonally referential for more than a fleeting moment. The second (“If you ask the night”), languid and nocturnal, channeled a pizzicato waltz beat, and “the snow sift swiftly down” with a descending four-note melodic sequence. Chinese oscillating perfect fifths, sometimes with added seconds, and parallel triads at the end were particularly sonically warm in outlining the fourth, “Return.” Bell-like ninth chords concluded the long coda at the end of the sixth (the final word “unending” repeated, like the “Ewig” in Mahler’s Der Abschied, a very different sort of farewell). Rich expressiveness that cries out for more performances infused all of these intense but not expansive poems. Other groups should take note of this gratifying premiere. Once more it is a pleasure to commend the masterful leadership of music director David Hoose. His control was complete, and yet completely unobtrusive, allowing the keenest observer to focus on the players’ total concentration in the five works that required different kinds of technique, difficulty, and cooperation.